Review by Simantini: If there is one shade that can be a safe bet for formal occasions like interviews or every day formal wear where you can't really pop it up, it's light brown. Whether in gloss, or in matte, light brown is never really out of style, mainly because it's such a safe colour that does not attract the eyes for wrong reasons. 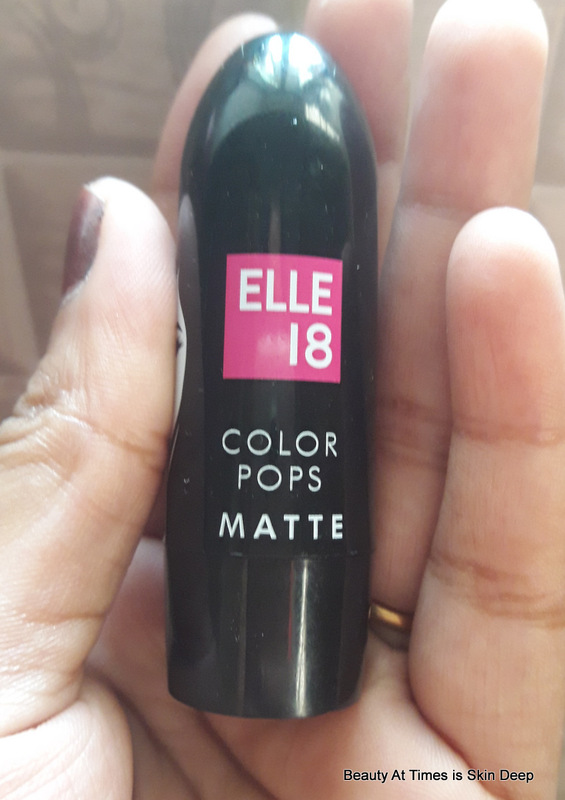 and Elle 18 Color Pops Matte CHOCO BITE is such a shade. the price! 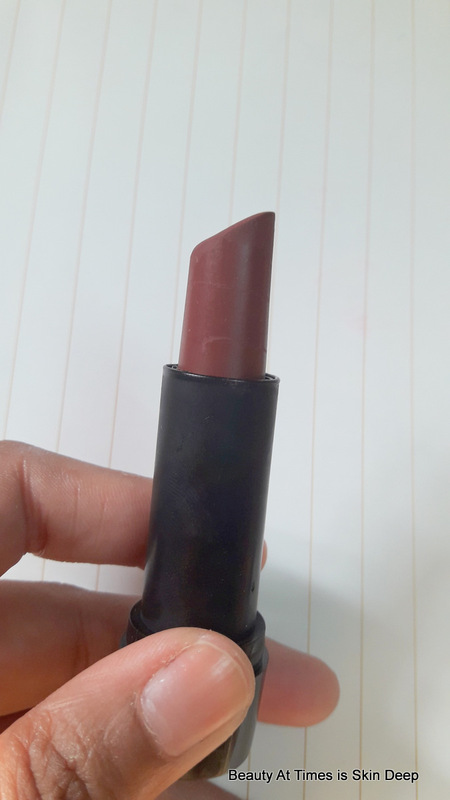 The average matte lipstick costs you more than 300 bucks at least. However this Elle 18 Color Pops matter are just 100 INR per lipstick. 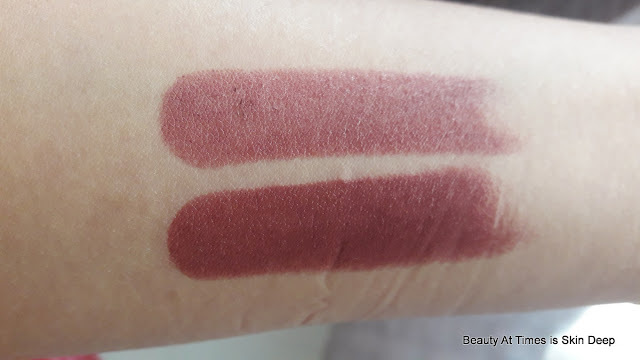 Colour - The slightly cool tone of the brown goes very well with most sort of Indian skin, depending on how many layers of the lipcolour you have used. The colour is not overtly appealing, and not barely visible as well. It's something, in between, beautifully proportionate for the the formal women. 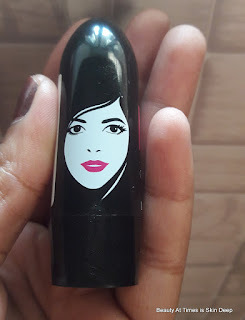 Packaging - It's your regular Elle18 packaging with the black plastic cover which closes with a click sound.The packaging is nothing fancy or expensive, but it's safe to carry around in purses, provided your purse can fit in the round lipstick. Experience - I can't say I have had a very wonderful experience with this particular shade, because it is not at all matte. I have tried the most effective ways of mattifying it, but then it becomes flaky and uneven. 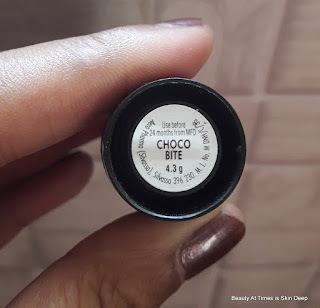 However, if you are satisfied with a moisturising brown lipstick which is not matte,this is a good option. 3. does not stay for long. Comes off ever after tea or snacks. It is a good lipstick if you're not expecting a matte longwear lipstick.